With this Ethernet Extension you can control Bricks and Bricklets and integrate them into a LAN. 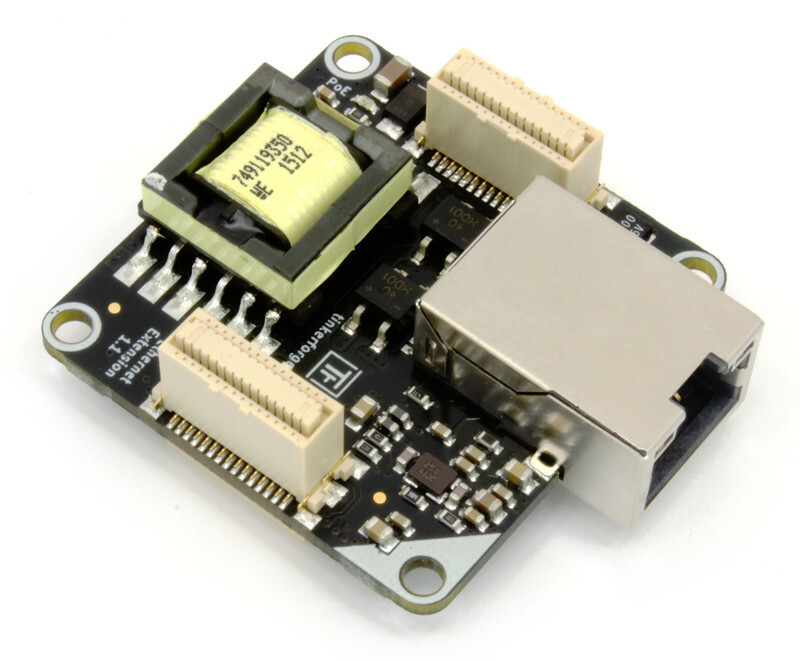 10BaseT/100BaseTX Ethernet is supported and the module is 1000BaseTX compatible. 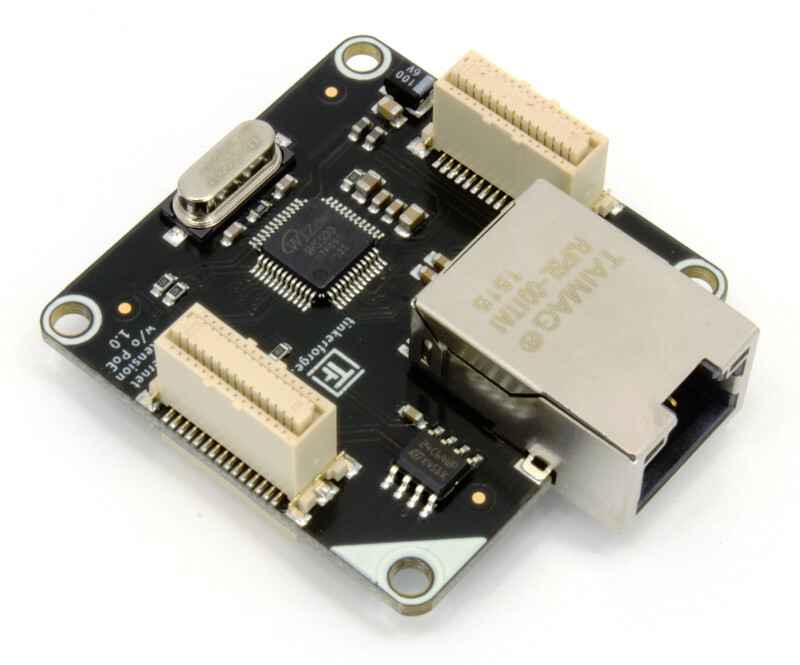 The Extension is available in two variants: The PoE variant features a integrated PoE power supply. 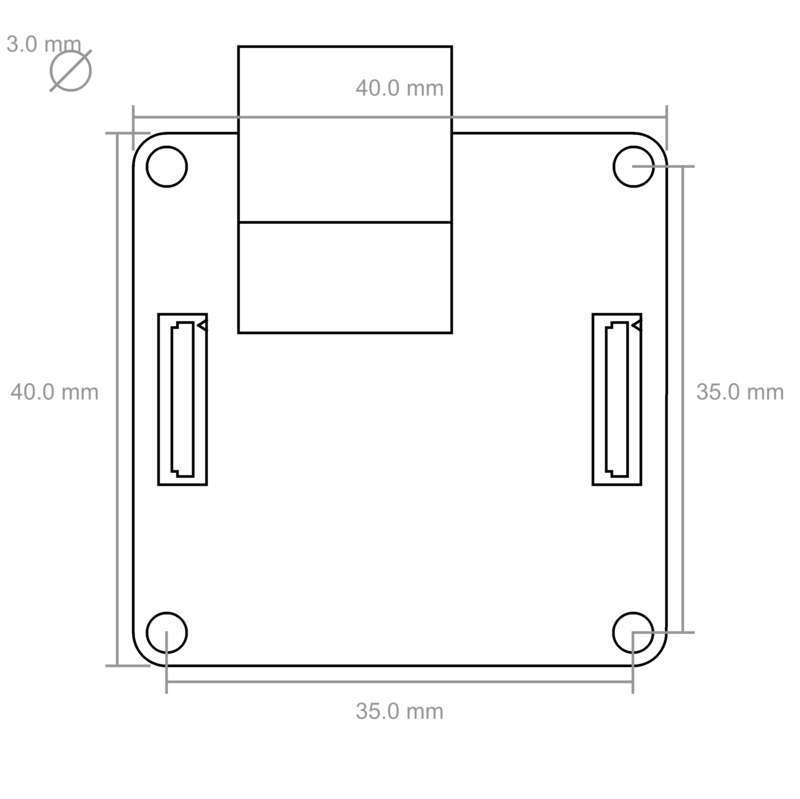 It allows to power the connected modules over industry standard IEEE 802.3af, such that a PoE injector as well as PoE switches can be used to power stacks. Additionally a variant without PoE is available. 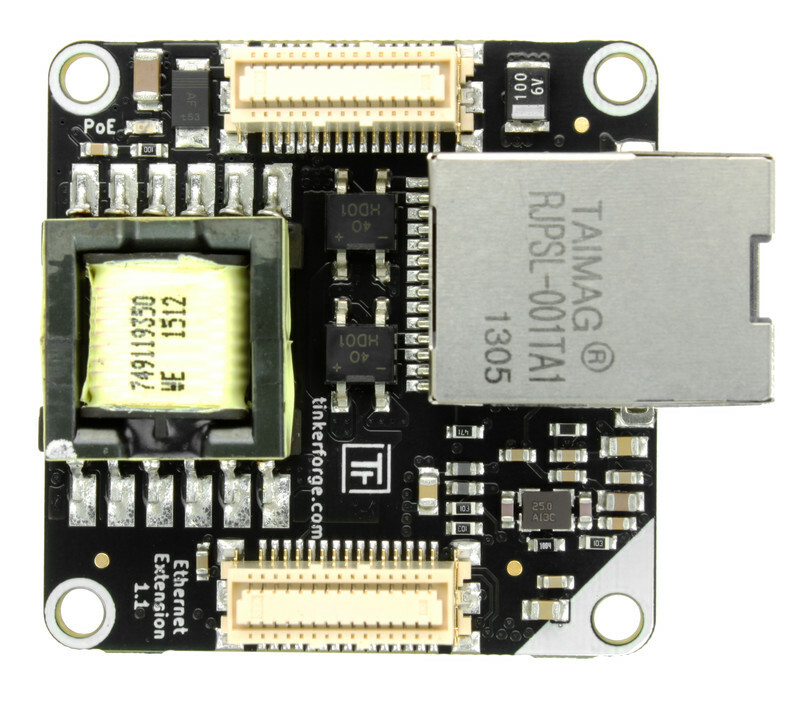 Since the device itself handles TCP/IP packages generated by the API, it is possible to connect directly from your controlling device (mobile phone, tablet, (embedded) PC). A Brick Daemon is not necessary. To use the Ethernet Extension a Master Brick or RED Brick is mandatory. If you want to use other Bricks, you can build a stack and plug them also on top of the Master Brick or RED Brick. If you want to use Bricklets you can attach them to the Bricks in the stack. From the programming perspective this is completely transparent, i.e. all Bricks and Bricklets can be used exactly the same way as if they were connected to your controlling device via USB. 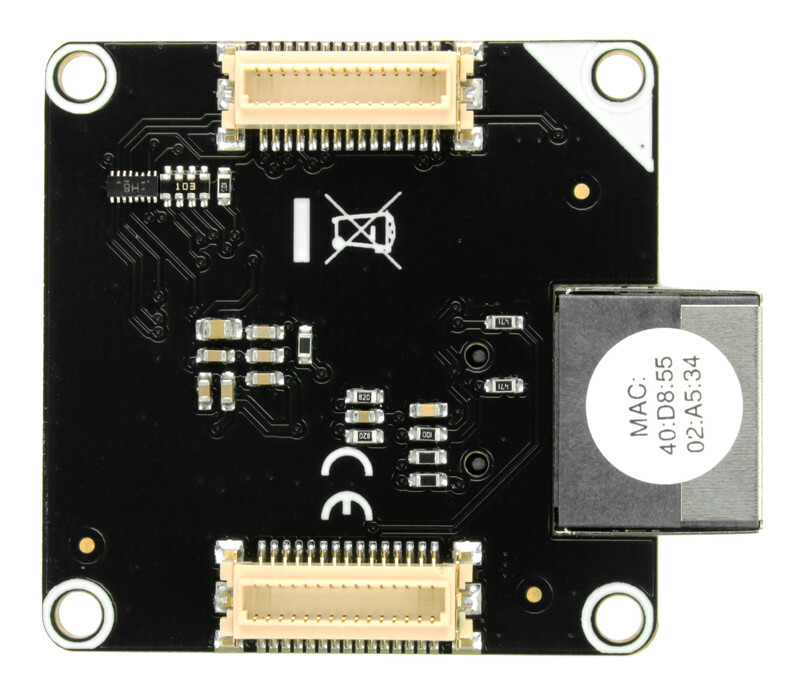 You need a Master Brick with firmware version 2.1.0 or newer to use this extension. The Ethernet Extension can be configured in two different modes: DHCP or static IP. If you use a static IP you have to enter IP, Subnet Mask and Gateway. 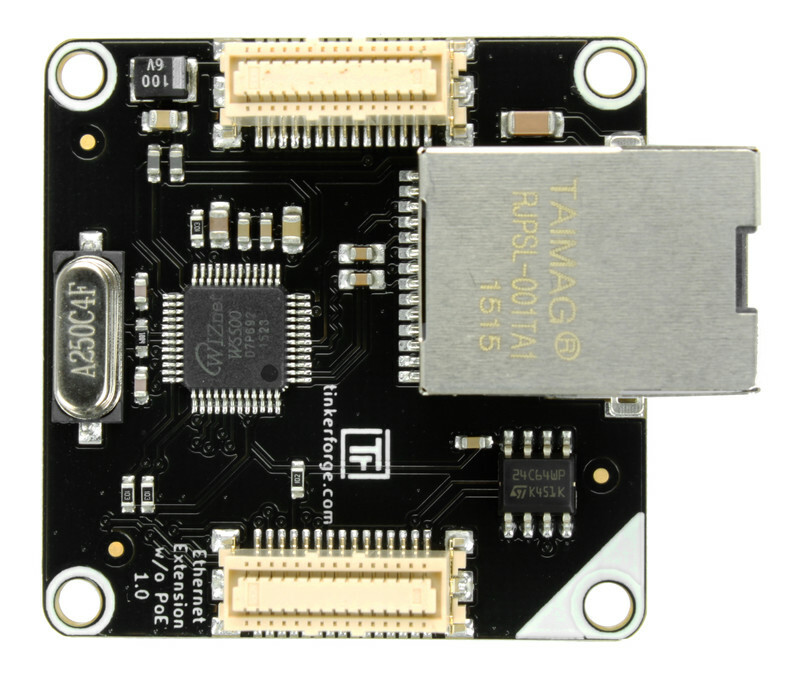 The MAC address of the Ethernet Extension is not fixed in hardware, it will be allocated by Tinkerforge. If it is lost in the EEPROM it can be found on the sticker of the Ethernet Extension. After configuring the Ethernet Extension you have to press the button "Save Ethernet Configuration" and restart the Master Brick. The Ethernet Extension supports WebSockets since Master Brick firmware version 2.2.0. The "Max Connections" option allows to freely divide the seven Sockets of the Ethernet Extension between plain and WebSockets connections. 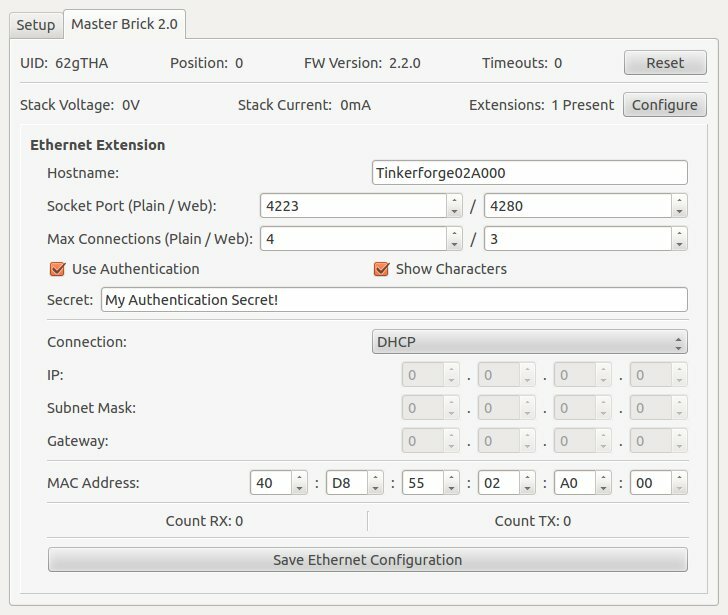 The Ethernet Extension supports authentication since Master Brick firmware version 2.2.0. Authentication is disabled by default. Tick the "Use Authentication" check box and choose an authentication secret to enable it. This secret can be 64 ASCII characters long. After saving the configuration and restarting the Master Brick authentication is enabled. Now every TCP/IP connection to the Ethernet Extension has to prove to the Master Brick that it knows the authentication secret before normal communication can occur. See the authentication tutorial for more information. 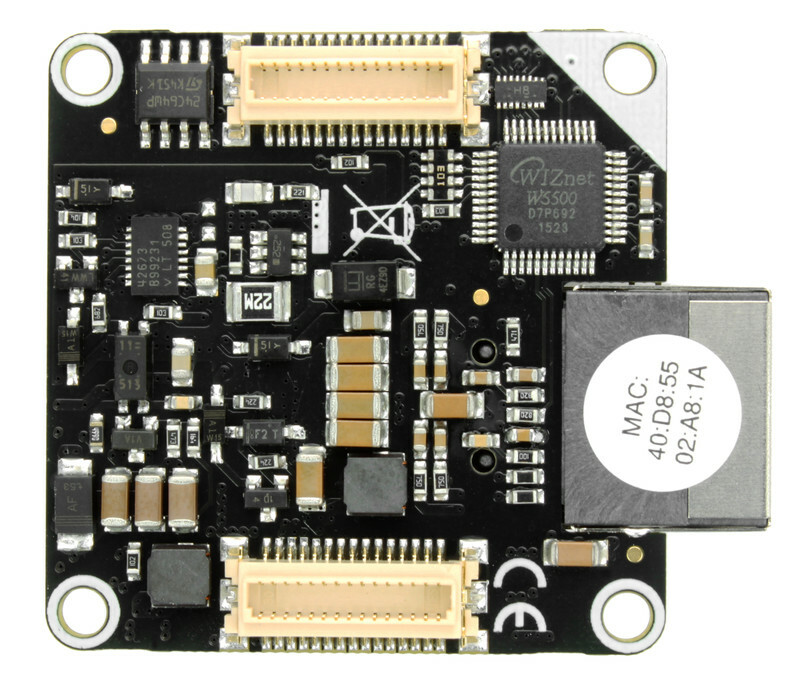 PoE injectors can be used to power Bricks and Bricklets over Ethernet. The Ethernet Extension will power the complete stack. Activated PoE will be signaled by a green LED on the Ethernet Extension. 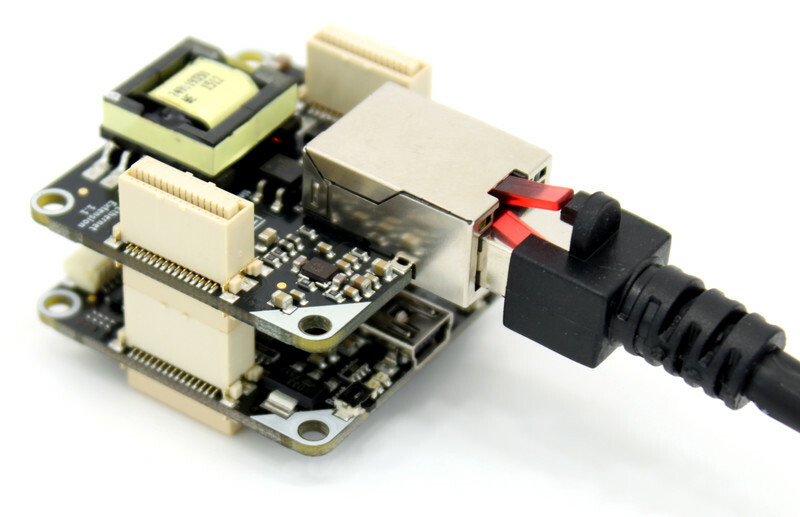 Servos and (stepper-) motors connected to DC-, Servo- or Stepper Bricks can not be powered by PoE since the PoE voltage typically is too high. 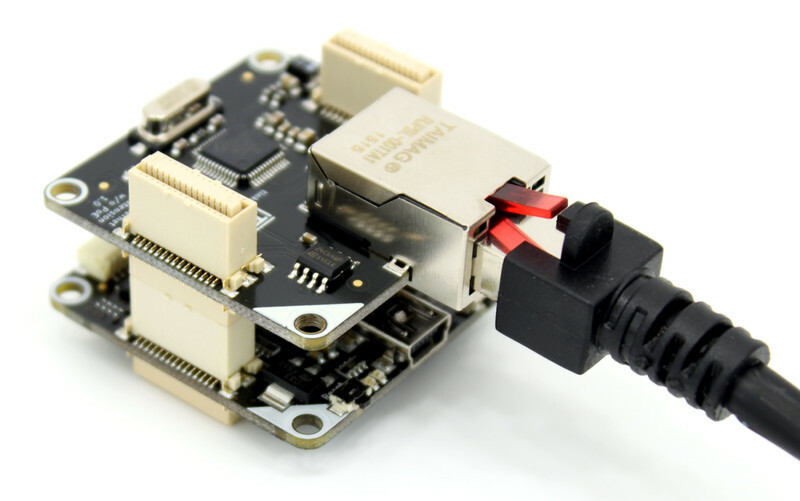 The Ethernet Extension can be used together with a Step-Down Power Supply.